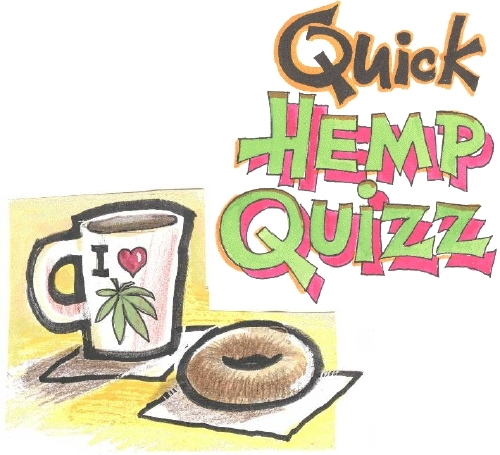 Try this quizz right now -- 11 minutes to a Better Hemp Industry for your pleasure and gain. It's easy, it's fun, and general knowledge - all multiple choice questions. You've heard it all before, but were you paying attention? What do you really know about hemp? Take this little industry quizz painstakingly created especially for Hemp Report readers. Your score will appear automatically and only you can see it -- any lab animal can do it. Rate your test score in this non partisan lineup - Professionals should of course, earn a perfect score. 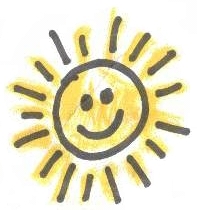 twenty five or more wrong --- hey, learning can be fun! You can always reload your browser and do it again. To go to Part 1, Canada, click here. To go to Part 2, Fibre & Food, click here. To go to Part 3, International, click here. To go to Part 4, Research, click here.